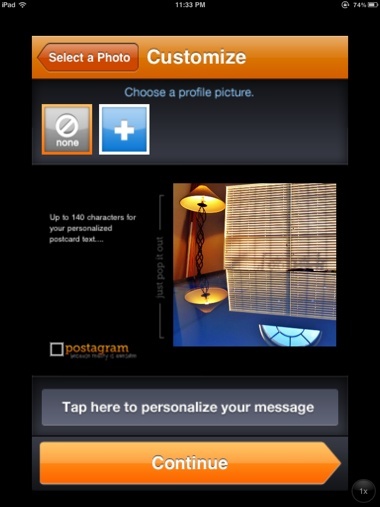 We have covered Postagram before in it’s initial release version. 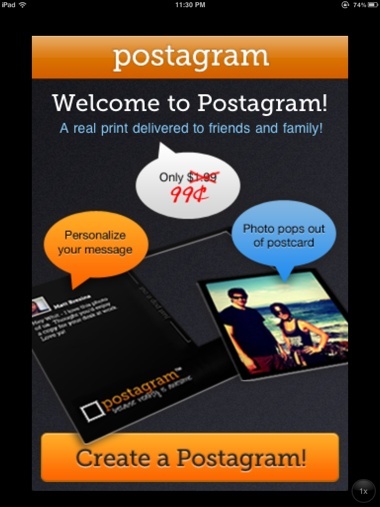 At the time, it was an app that allowed you to use your Instagram photos on print postcards. Today, the still free Postagram app was updated to now let you use images from your iPad’s Photo Library and from your Facebook Libraries too. 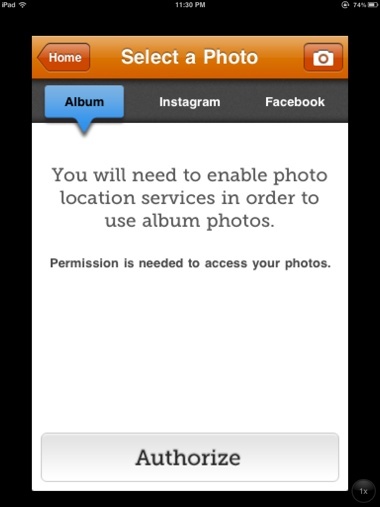 Postagram is not a Universal app and was written for the iPhone but it works fine in 2X mode on the iPad. 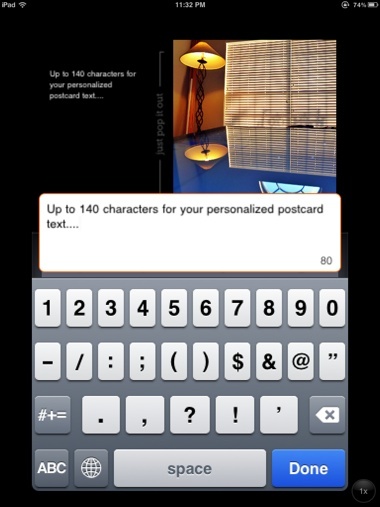 Up to 140 characters can be added to the card to appear next to the postcard image. Along with the image and text, Postagram offers to include your Profile Picture which is a nice item to personalize the postcard. We use our company logo for our clients to quickly recognize who the card is coming from. – US delivery takes only 2-5 business days. International delivery, a bit longer.